The City of Bellevue (WA) was experiencing uncontrolled information growth across their organization. As a result, their compliance environment was under undue stress. IT was dealing with multiple content solutions and repositories already in place. The number of disaggregated systems increased the City’s IT costs in administration and infrastructure maintenance, and the risk of being unable to find content and its potential mismanagement were mounting concerns. With increasing records management requirements, the City needed help in establishing a technology solution to meet their information management requirements. They also needed to ensure scalability over the next five to ten years. To overcome these obstacles, the City required assistance in creating a governance infrastructure for all its documents, content, and records to meet changing needs, ensure compliance, reduce IT’s workload, and reduce increasing costs. The City utilized Gimmal Records Management in combination with Gimmal implementation services to build on a SharePoint foundation to create a full-featured, Department of Defense (DoD) 5015.2-compliant records management solution. The solution provides centralized creation and management of record retention policies for content stored across SharePoint Record Centers. The City also implemented Gimmal Content Governance for SharePoint for proactive governance and control. With Gimmal services, the City was able to enjoy well-paced deployment and adoption of the new system. Gimmal focused on helping the City use SharePoint as the solution standard for collaboration and compliant records management. Gimmal Records Management was the product used to ensure secure management of the organization’s most critical and valued information. Redirecting the high cost of support and maintenance of the existing Oracle Stellent system to the implementation of records management in SharePoint, Gimmal helped the City lower its costs and provided a solution better aligned to their needs in content and records management. The solution instantly improved access and governance through centralized records management in the City’s SharePoint. Although the City was not new to SharePoint, they had never used the application in a structured manner for content and collaboration. Therefore, knowledge transfer proved to be critical to the solution’s success. As a Microsoft Gold-Certified Partner with deep SharePoint expertise, Gimmal ensured that the City understood all key concepts, nomenclature, and the design considerations that made up the solution. 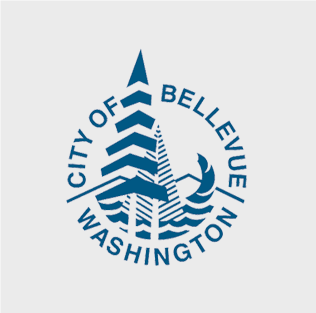 “Gimmal was able to reduce the City’s organizational risk through centralized governance and records management — all at a cost lower than the maintenance payment of Bellevue’s legacy system,” says Kyle Stannert, Assistant City Manager for the City of Bellevue. The City has benefited from an increase in overall productivity, as employees transition from legacy systems and experience freedom from the hassle of using multiple systems. All data sources within the City will soon be connected, creating a single system of unified policy management. The SharePoint-based, certified records management system serves as a successful, lower-cost replacement to the City’s legacy systems. The system also allows the City’s employees to experience improved search and access through SharePoint managed content types and required metadata fields for content created and saved in a managed environment. This project would have been much more difficult and costly without Gimmal’s deep expertise in SharePoint Records Management and the software solutions we have deployed."